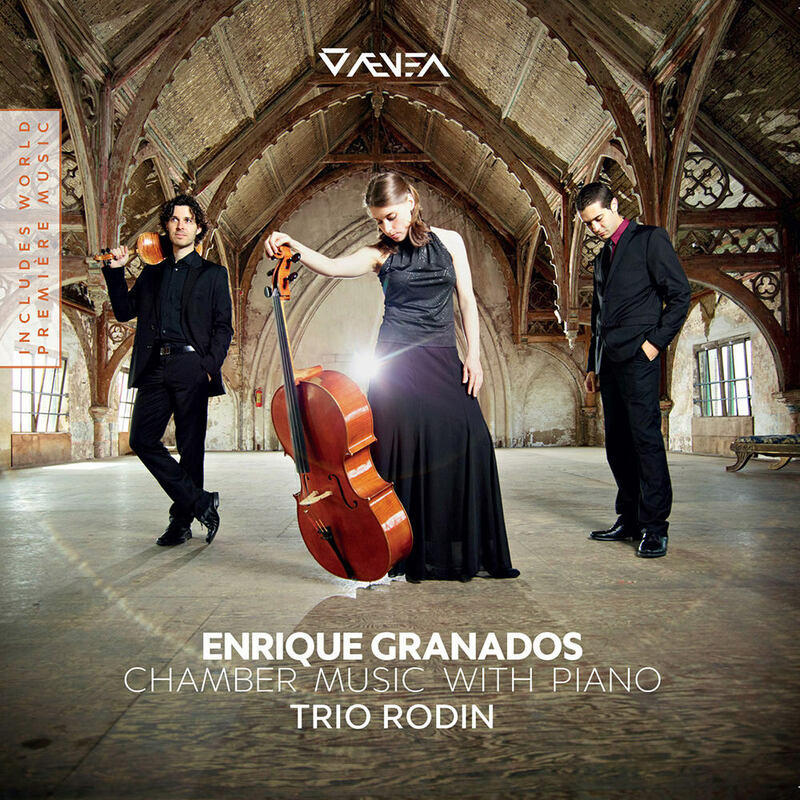 This debut release from Trio Rodin opens with a new version of Enrique Granados's piano trio based on an recently discovered manuscript found at a museum in Barcelona, rather than the commonly played edition. The album also includes the world's first recording of Trova, an arrangement by the composer himself of his most famous chamber orchestra piece Elisenda. The sonata for violin and piano is another of the great surprises offered on the programme. While the existence of manuscripts containing a second, third and fourth movement of the sonata was known, until now no one has dusted them off and presented them to an audience. A complete second movement and two other unfinished movements are presented here as a premiere of what is, without any doubt, one of Granados's greatest chamber music works.